There are so many aspects of postwar Germany, I can’t possibly give a complete list of books and other sources. Here’s a start, divided into nonfiction and fiction. If there’s an English version of the book, I’ll try to put that title, but much if not most of the sources I read are in German. I haven’t read everything, so this list isn’t a recommendation (unless I specifically recommend! ), it’s a starting point for exploration. I’ll be adding to this list over time, and any suggestions for more books are welcome! After the Reich: The Brutal History of Allied Occupation by Giles MacDonogh, 2007. The summary on Amazon is rather shrill, so I’m not sure what to think of this one. I haven’t read it, but expect it to lay out many of the little-known atrocities committed by allied forces just after the war. Generally, this topic has been a no-no except when it came to Soviet crimes. But the Western allies committed their share, and this book appears to jump into that difficult topic. Berlin Days 1946-1947 by George Clare, 1989. –Memoir of a Viennese Jew who left for Britain before the war and returned to Berlin as an intelligence officer after the war. I can not describe how much I love this little book. 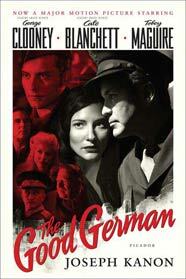 It’s told with wit and charm and reveals the absurd side of allied life in Berlin as well as the serious side. Out of print, I had to order it used. Berlin: The Downfall 1945 by Antony Beevor, 2002. — A fascinating, horrific telling of the last months of the war and what came after. Besetzt: Britische Besatzungspolitik in Deutschland by Volker Koop. Be.bra verlag, Berlin 2007. — This and the following book on the British and Soviet Zones has quite a critical tone, and is free about criticizing postwar allied policy and achievements. Bildberichte. Aus dem Ruhrgebiet der Nachkriegszeit. Ruhrlandmuseum Essen, now Ruhr Museum. ed. Sigrid Schneider, 1995. — Fantastic collection of photos from the Ruhr area in the postwar years with intelligent essays about photography and the media. Black Market, Cold War: Everyday Life in Berlin, 1946-1949. Fantastic study by Paul Steege, Cambridge University Press, 2007. Academic but not too dry. Great footnotes and sourcing. The End: Germany 1944-1945, by Ian Kershaw. Anything by him is worth reading. Faust’s Metropolis: A History of Berlin by Alexandra Richie. Thank you, Steve, for the suggestion. 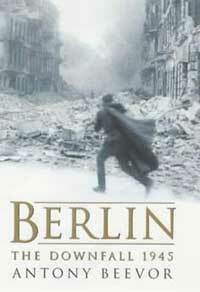 For another general Berlin history, also try Berlin, by David Clay Large. Die Franzosen in Berlin. Besatzungsmacht, Schutzmacht, Partner für Europa by Ulrike Wahlich, Dorothea Führe, Ingolf Wernicke — essays on the French sector and influence in Berlin. German Autumn by Stig Dagerman, on the hopeless mood in 1947 Germany. The German Genius: Europe’s Third Renaissance, the Second Scientific Revolution, and the Twentieth Century by Peter Watson. 2010. Not directly related to postwar Germany in the regular sense, but an interesting look at Germany as a nation of culture (as it thought itself – and was – before WW2) and the effects of the war on culture afterwards. Gertrud Lehmann-Waldschütz · Wolfgang Goszczak. Berichte über sowjetische Speziallager in Deutschland, ed. Andreas Weigelt, Metropol Verlag. A look at the postwar Soviet internment camps, many in former Nazi concentration camps including Buchenwald. Großstadtkriminalität. Berlinerpolizei und Verbrechensbekämpfung 1930-1950, ed. Jens Dobler, Metropol Verlag, 2013. A new look at the role of the Berlin criminal police in the Nazi and early postwar eras. Holocaust Survivors in Postwar Germany by Margarete Myers Feinstein, Cambridge University Press, 2009. Hungerwinter by Maugg and Häusser, 2011 in German. See my September 2012 post on this collection of memories of the deadly famine winter of 1946-1947. It Started with a Kiss: German-Allied Relations after 1945. Jaron Verlag, part of special exhibition of Allied Museum, Berlin. Not all the articles are specific to Berlin, but many are. Plus great period photos and info on mostly allied men with German women. Jews, Germans and Allies: Close Encounters in Occupied Germany by Atina Grossmann, Princeton University Press, 2009. The Link with Home— and the Germans listened in. The Radio Stations of the Western Powers from 1945 to 1994. Part of special exhibition I saw at the Allied Museum in Berlin August 2013. Good music/cultural relations information and photos from early period in Berlin. The Long Road Home by Ben Shephard, on postwar Europe coping with displaced persons. Making Of… The Men and Women of the Berlin Airlift. Book based on special exhibition of the Allied Museum, Berlin. Lots of great period photos and basic info. The Mark of Cain: Guilt and Denial in the Post-war Lives of Nazi Perpetrators by Katharina von Kellenbach, Oxford University Press, 2013. Nachkriegspolizei: Sicherheit in Ost- und Westdeutschland 1945 – 1969 by Gerhard Fürmetz, Herbert Reinke, Klaus Weinhauer. Hamburg: Ergebnisse Verlag, 2001. — interesting essays on the evolution of the German police after the war, a fascinating topic in light of the Nazi police state that came before. Odessa und das Vierte Reich: Mythen der Zeitgeschichte by Heinz Schneppen, Metropol Verlag. Destroys the myth of Odessa, a postwar organization said to smuggle high-level Nazis out of Europe to South America. Orderly and Humane: The Expulsion of the Germans After the Second World War by R.M. Douglas. 2012. Pastfinder Berlin by Maik Kopleck. Anniversary edition, 2011. Good basic info and photos/graphics in a tour guidebook form, but check details. I found one wrong fact already. C.H. Links Verlag, Berlin. Postwar: A History of Europe Since 1945 by Tony Judt. — see my January 2014 post on this amazing resource. Prison Journal by Luise Rinser, 1946. See my September 2012 post about this diary of a woman in a wartime prison, one of the first postwar bestsellers in Germany. Savage Continent: Europe in the Aftermath of World War II by Keith Lowe. A broad look at the immediate postwar era, not just in Germany. Schwimmen in Villa Hügel, by Mary Bruce, 2013. See my October 2013 post about Mary’s memories as a US diplomat’s daughter in postwar Essen. A Woman in Berlin. The diary of an anonymous woman in the eight weeks during and after the fall of Berlin to the Russians in 1945. Year Zero, a History of 1945 by Ian Buruma. Zwischen Fürsorge und Ausgrenzung. Afrodeutsche “Besatzungskinder” im Nachkriegsdeutschland by Yara Lemke Muniz de Faria, Metropol Verlag. The fate of German children of African American soldiers in postwar Germany. *Most of these books are crime/mystery since that’s what I like to read and write, but some mainstream books are sprinkled in. The Aftermath by Rhidian Brook, 2013. Drama set in 1946 Hamburg. Berlin by Pierre Frei, 2003. Crime book set in 1945. Berlin Noir: A German Requiem, 1994 by Philip Kerr. –I’m a big fan of Kerr’s Bernie Gunther crime series, and this book is set in 1947, mostly in Vienna. The Blind Side of the Heart by Julia Franck, 2009. About a woman who abandons her child in 1945, wartime/postwar. The Good German by Joseph Kanon, love story/mystery in 1945 Berlin. Hungerkralle by Jürgen Ebertowski, 2008. Set in 1948 during the Airlift. Johanna at Daybreak by R.C. Hutchinson, 1969. — Look like it’s about a wounded woman who returns to Germany after the war. Thanks for the tip, marytuda. She also recommended March the Ninth, originally published in 1957, back in print, a postwar book not specific to Germany, but with similar issues of guilt and identity. Lehrter Station by David Downing, book 5 in his John Russell WWII thriller series, this one partly postwar. Odessa-Komplott by Uwe Klausner, 2010. Set in 1948, a crime series that looks only in German. Pavel & I by Dan Vyleta, 2010. Crime set in 1946-1947 Berlin. 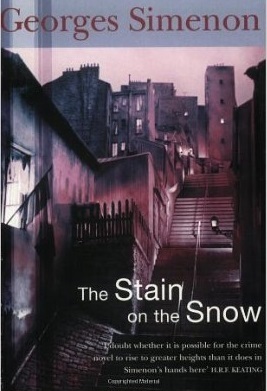 The Stain on the Snow by Georges Simenon, 1949. — I just had to include this magnificent little crime book. It’s not Maigret, it’s a story of a young criminal in an almost mythical version of occupied Germany. You don’t read this book for information about the postwar world, it’s about the value of human life and the struggle to regain humanity. Der Trümmermürder by Cay Rademacher, 2011, crime book set in 1947 Hamburg. Two Brothers by Ben Elton, 2012. Follows a family from the 1920s into the postwar era. Unter Trümmern by Jürgen Heimbach, 2012, crime set in Germany 1946. *If you read German, try Heinrich Böll. After reading his short story “Wanderer, kommst du nach Spa…”, I admire Böll’s bold and critical look at German life during and after the war. He was part of the Trümmerliteratur (rubble literature) movement, which I’ll do a post on sometime. Böll also edited collections of postwar memories, such as in Niemands Land: Kindheitserinnerungen an die Jahre 1945-1949. I recently got informed of the history of post war actions taken and not much of people or say World knows what the Germans suffered after WW ll. Thanks a lot for putting these book suggestions online. Will read most of it for sure. You’re welcome! Glad to help, and enjoy the blog! Like several others here, I have just found your blog. Or rather, it found me! I was puttering around the web, looking for information, videos on Postwar Germany and I bumped into your blog. I really connected with your writing style and the incredible information I found here. I loved your “Checklist For Change”, which made some startling good points, and sent chills down my spine. I posted it on Facebook for like-minded people to consider. I also appreciated your booklist, which sent me scrambling to Amazon, where I brought two books. I hadn’t even finished your list! I lived in postwar Germany as an infant, when my Air Force father was stationed at Hahn AFB. He tells interesting stories of the time. I believe we were there beginning in 1958. I have always felt a connection and an endless fascination with WWII. I’m delighted to have found your blog and the really thoughtful thinks I’m sure I will find here. Thanks for all your research and hard work! Hi Tammy, thank you for your kind words! I’m really glad you like the blog. If there are any topics you’re wondering about and would like to see a post on, just let me know! Just found your brilliant blog about a subject I am endlessly fascinated with. My novel The Green Table, has just been published by Cinnamon Press. It begins in Essen, where Kurt Jooss, award winning choreographer, had to flee the country when Hitler came to power. I am now starting research for a sequel, which will begin in Essen in 1946. So your site is absolutely brilliant. Hope your novel has been placed. Hi Tricia, glad to connect with you! Your book sounds really interesting with the focus on dance – congratulations! My first book is back with my agent, and I’m hoping the last edits are almost done, then submission soon. Enjoy the site! I just found you page too. It looks really interesting. My father lived withing 5 km of the East German West German border on the East German side. He was born in 1930 and was a people and goods smuggler from 1945 to 1952. I have some old letters from that period, but mostly from the 1950s and 1960s written by my grandmother. Both of my grandmothers are buried in different towns in what became known as the forbidden zone. One of my grandfathers is also buried in the area formally know as the sperrzone. Your father sounds like he was an interesting guy, Thomas. If you’re willing to share any 1940s letters, I’d love to see them and possibly put up translations on the blog. Thanks for reading, and hope you enjoy the site! Great Blog & Excellent research list, I just discovered you and am utterly grateful for your expertise! Have you read Fabian: the Story of a Moralist, by Erich Kastner? It was also published under the title Going to the Dogs. If not- I highly recommend, the story takes place in the failing Weimar years and gives a great sense of the bewilderment and lack of opportunity of the interwar period. There’s also some truly excellent scenes of dark absurdity (Look out for what happens when a Freikorpsmann and a Communist cross paths at night). Thanks again for your blog! Thanks for your kind words, Julia! (And this reminds me I need to kickstart the blog after a summer off.) I haven’t read Fabian, but will check it out. I love Erich Kästner’s children’s books, and have read some to my kids. If you have any topics you’d like to see on the blog, let me know. Enjoy!